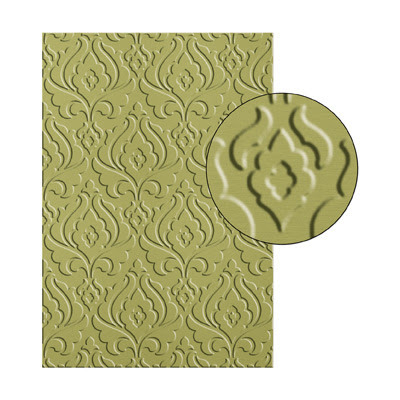 I LOVE the new In Colours in the SU range! 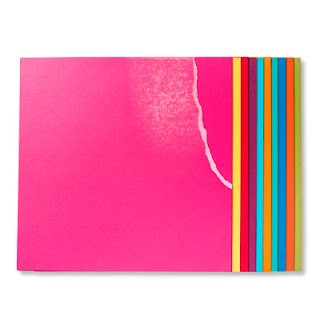 They are my favourite colour collection since becoming a demonstrator in 2008. 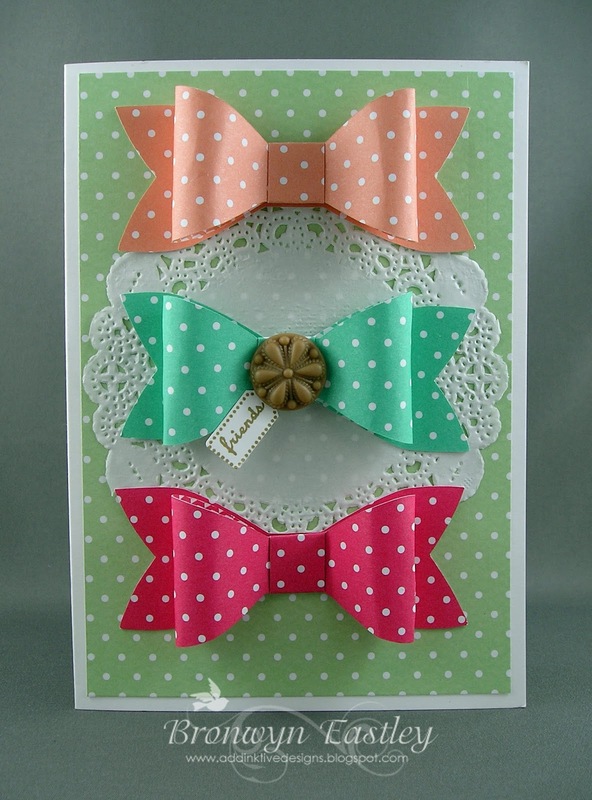 This card is a CASE from Chloe Evans at Chlo's Craft Closet. I fell in love with the cute owl card she made and have wanted to make a similar one for ages! 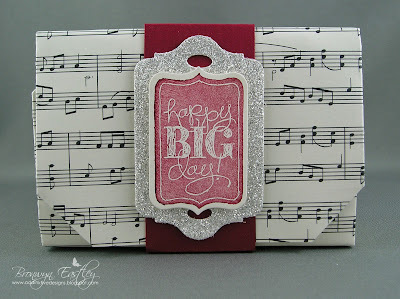 This is the last of my Stamp Camp Creations for now. 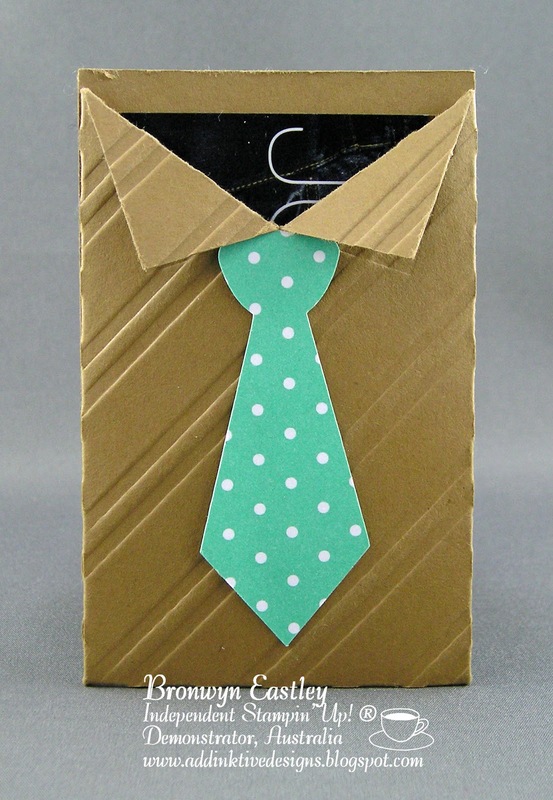 I did start some other projects but haven't had the chance to finish them off, as Father's Day is only a few days away and I've had lots of card kits to make for school! Can you tell that I really love the latest In Colours from SU as well as the digital punches from MDS? I'm a little excited that I can make paper bows using the Digital Bow Punch from the Tags For All Digital Kit, make them whatever size I like and then cut them out with my e-Cutter. 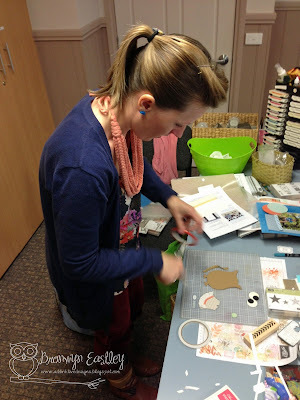 Pure bliss for the paper crafter! 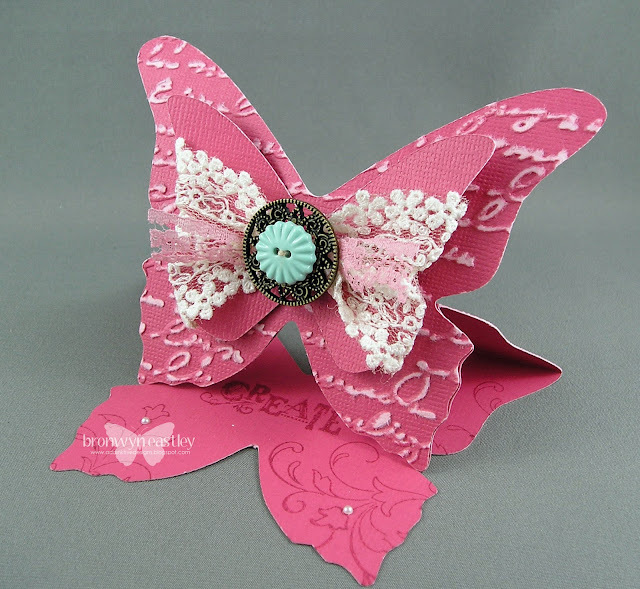 Another awesome addition to my collection is the cute little butterfly die from the Backyard Basics Bundle. 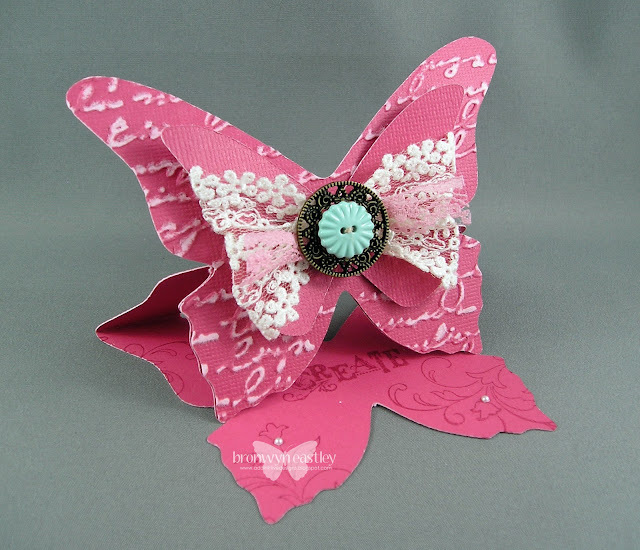 It makes the teeniest butterfly easel 'card' you've ever seen! Just popping in to share a couple more projects that I made at a recent Stamp Camp. 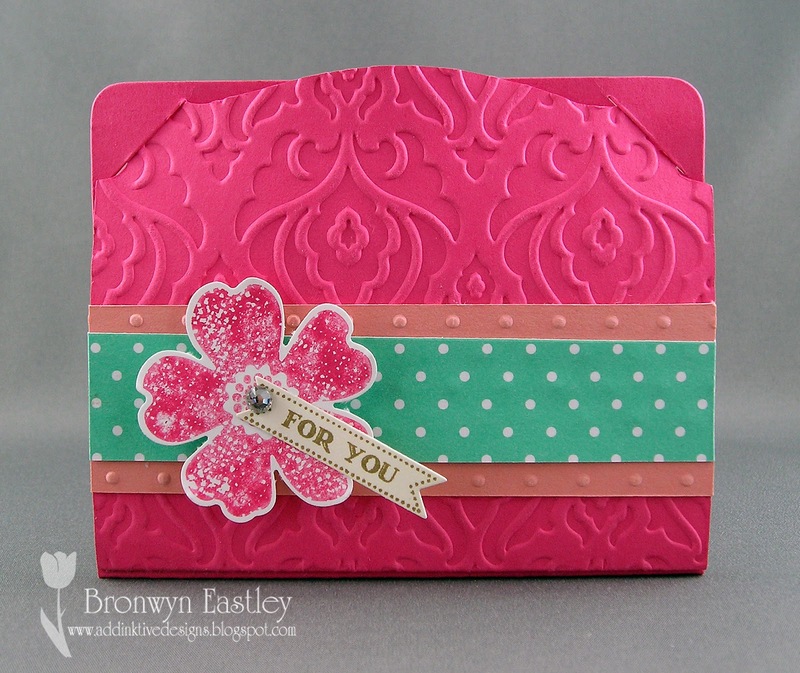 I love the video that Diane Dimich has made on 5 Ways to Use the Pop 'n Cuts Die and decided to make the cute little gift card holder from the new In Colours and Flower Shop Stamp Set. 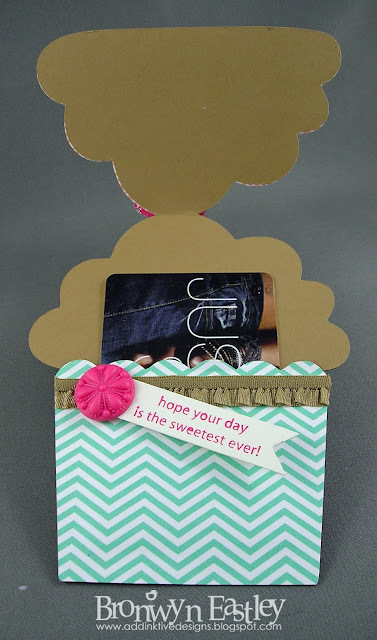 Here's another gift card holder and for this one I used a Silhouette File. 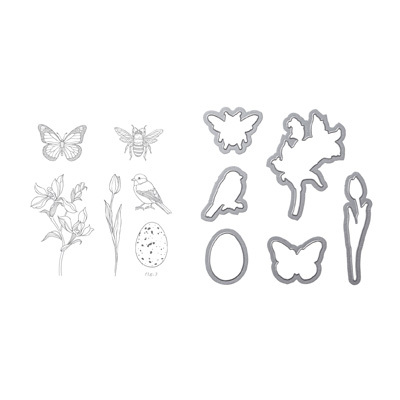 It features the new embossing folder from the soon to be released Holiday Catalogue (1st September). 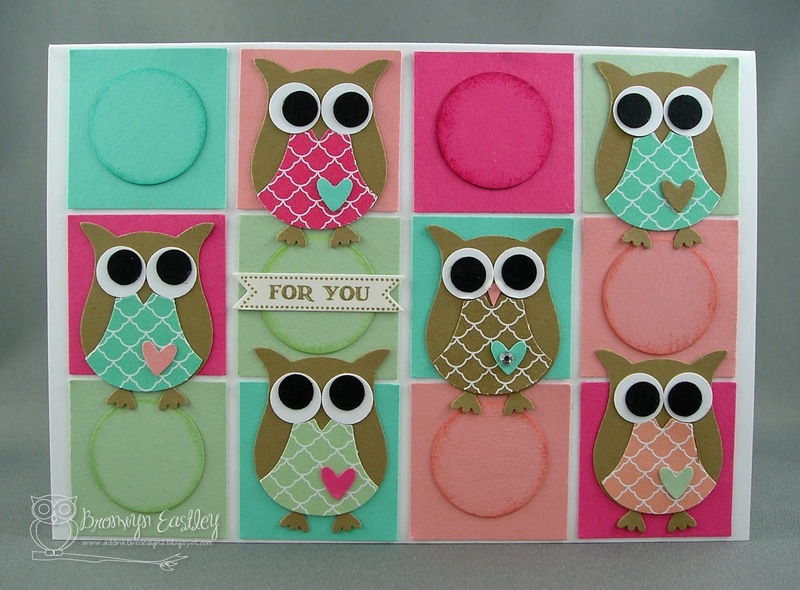 This is one of the In Colour Projects that I started to put together at Stamp Camp last weekend. 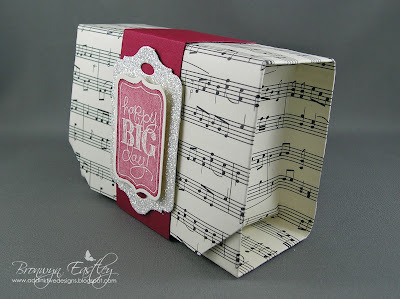 I sat down yesterday to finish it off so I could enter it in the latest Birthday Theme at SUO Challenges. 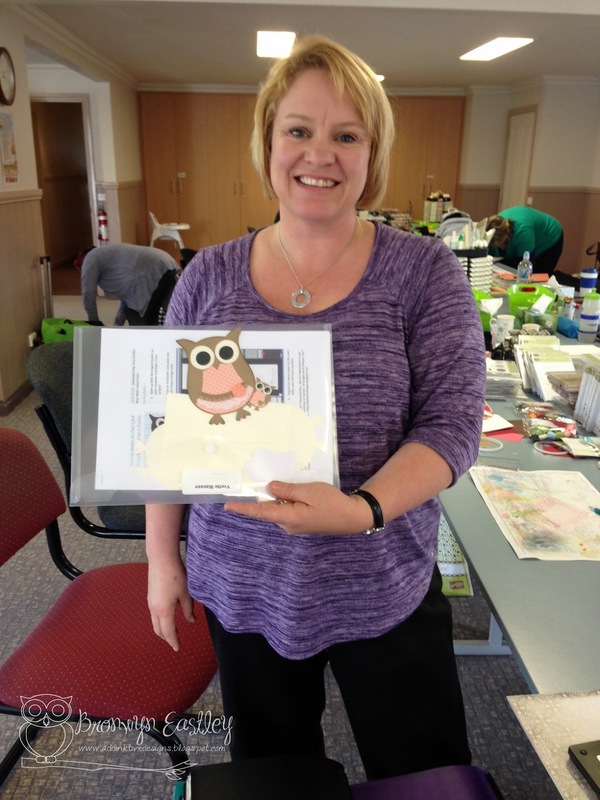 Sadly, I missed the deadline - duh! 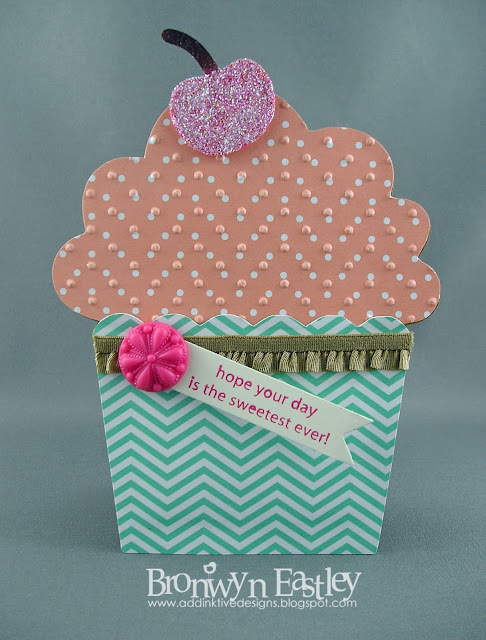 I designed this card using the Digital Cupcake Punch, cut it out with an e-Cutter and then embellished the gift card with goodies from the new season's In Colour range. 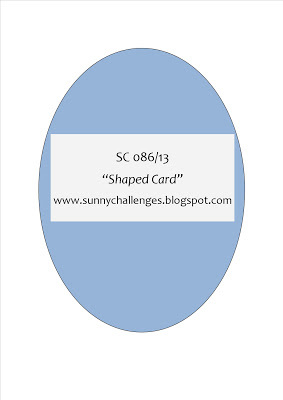 I came across a new challenge blog (for me) through my friend, Christine, called Sunny Challenges. 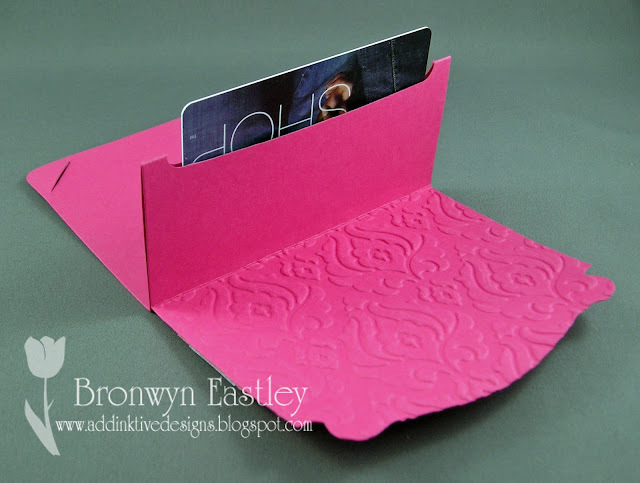 After all the rain we've been having lately, that sounded inviting and so did the theme, SHAPED CARDS. I enjoy making shaped cards and already had a Butterfly Easel Card which was e-cut just waiting to be put together. 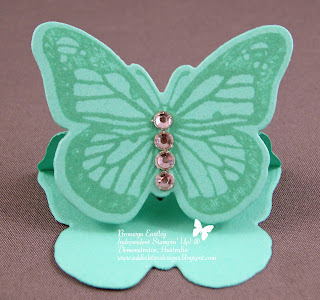 Ever since I bought the Artisan Embellishments' Kit months ago (NLA), I've been wanting to use the gorgeous lace across the butterfly wings. I can now tick that off my list. 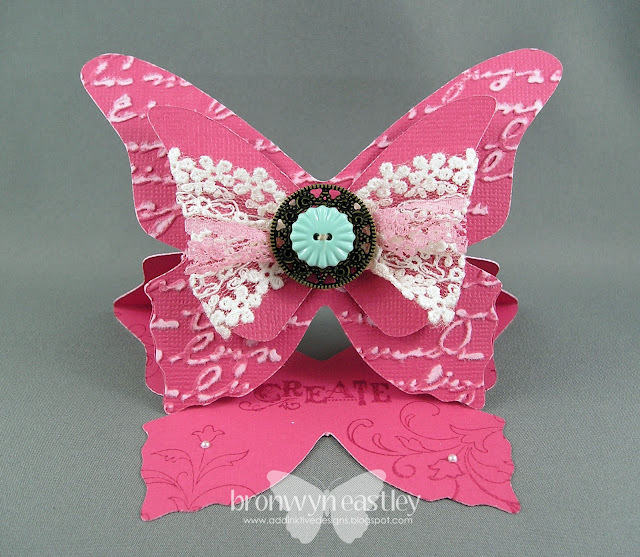 I've made quite a few butterfly easel cards over the years but I'm thinking that this one might actually be my favourite :) I just love all the vintage lace and buttons etc. in the kit as they coordinate beautifully. This card will be winging its way to my newest recruit, Jo, to thank her for joining up. Fun times ahead! 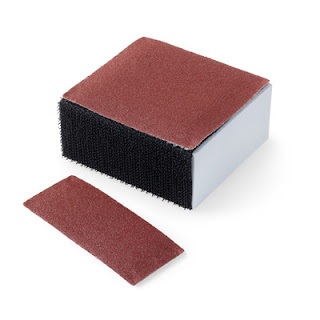 I love the Core'dinations Card Stock in the SU Colours. 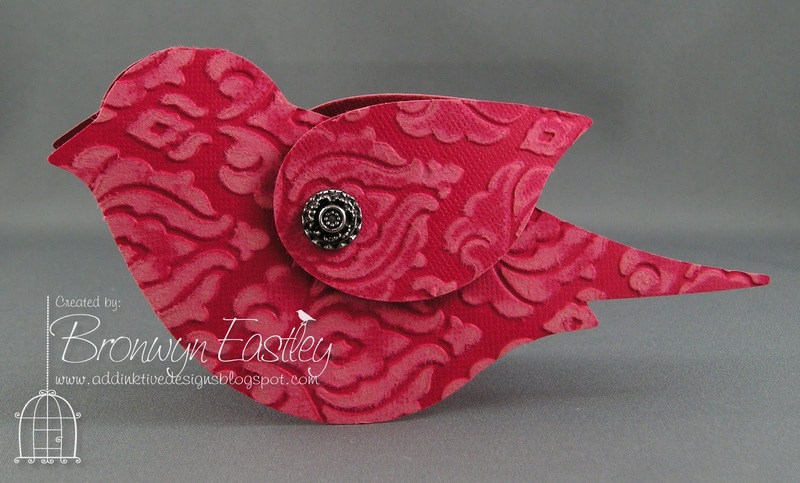 After I sanded the embossing on the bird, the soft texture reminded me of a favourite red velvet dress that I wore when I was about 4 years old. 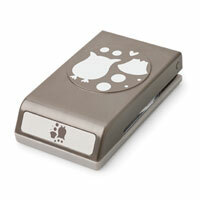 This is another project I made at Stamp Camp to showcase SU's digital punches (My Digital Studio). 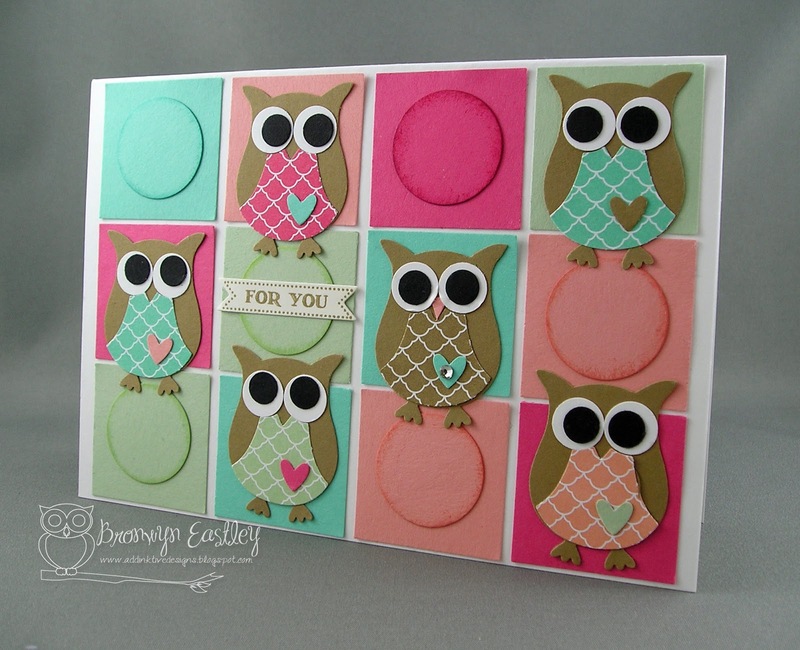 If you are inspired to get inky, ALL products featured on this card are available from my on-line Stampin' Up! ® Store (Australian Residents Only). 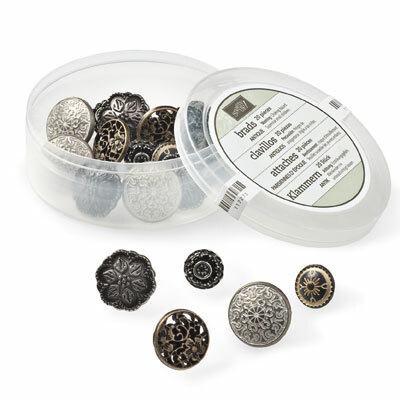 Better still, join my team and get discounted or free products, 24/7. Here's the fourth blog post about Stamp Camp. 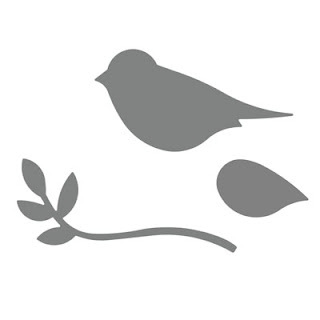 I hope you are enjoying checking out some of the projects that we made. 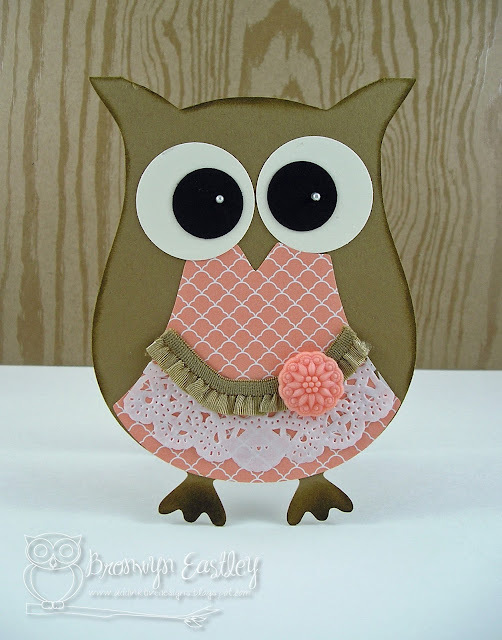 When I was demonstrating how to make a card using the digital owl punch, I mentioned that the cupcake punch made a great card too. 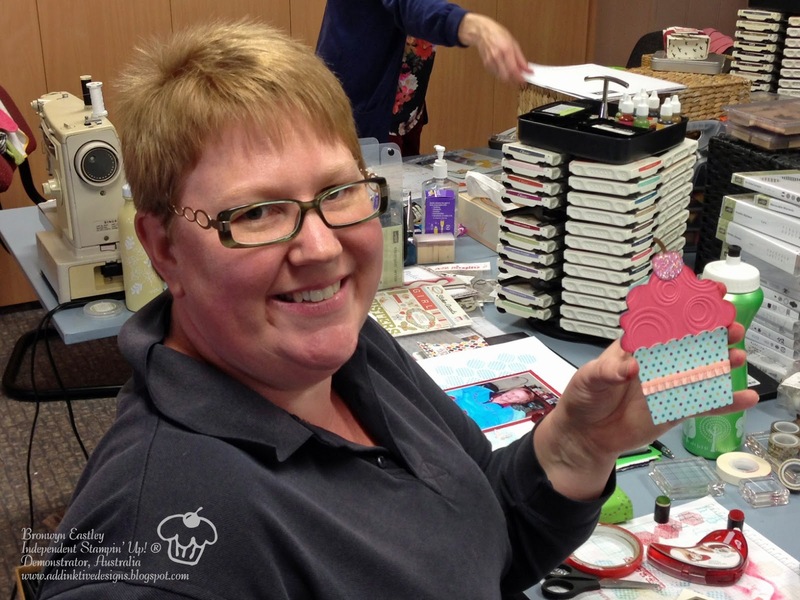 Jayne was pretty excited about that as her upcoming daughter's birthday party had a cupcake theme and she needed to make a few invitations. Problem solved! 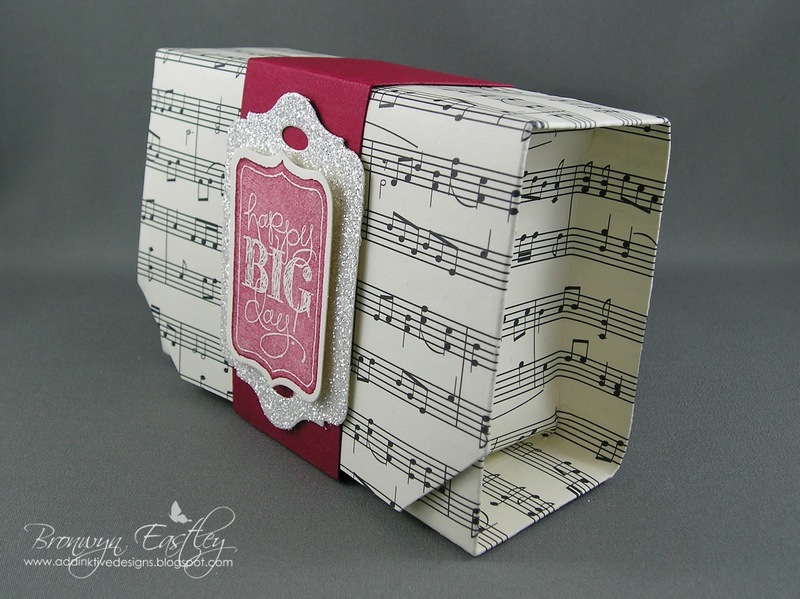 She chose the papers, I designed the card, cut out the pieces with my Silhouette Cameo and she assembled them to produce this very cute invitation. 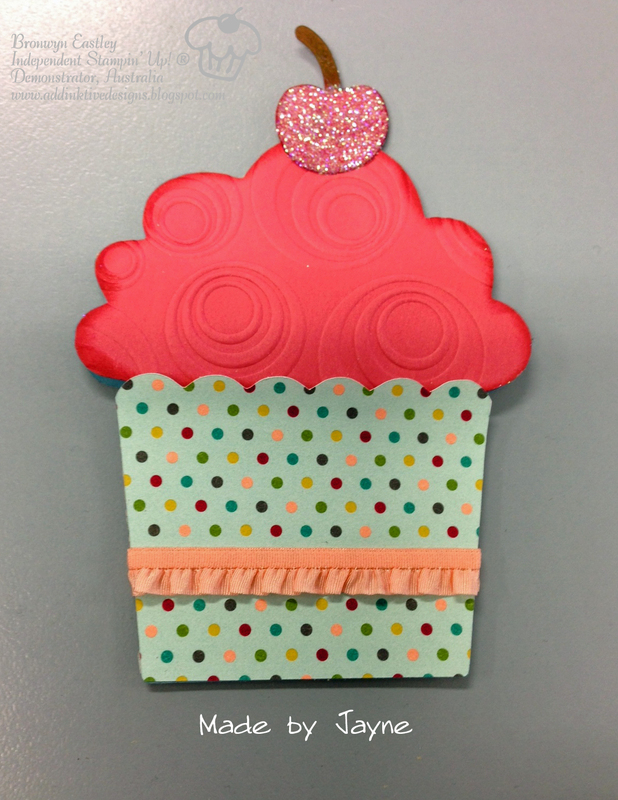 The top of the cupcake lifts upwards and a little tag with the party details is popped into the base of the cupcake. It took Jayne away from her scrapbooking pages until all 6 were complete. I'm sure it was worth the sacrifice as I heard they were a big hit with her daughter. Now Jayne has a large item on her wish list as well as lots of digital downloads for MDS. On the Sunday of Stamp Camp, I had the awesome privilege of demonstrating how to use digital punches from My Digital Studio to make fun shaped cards. These cute owl cards were cut out using a Silhouette Cameo (e-cutter). 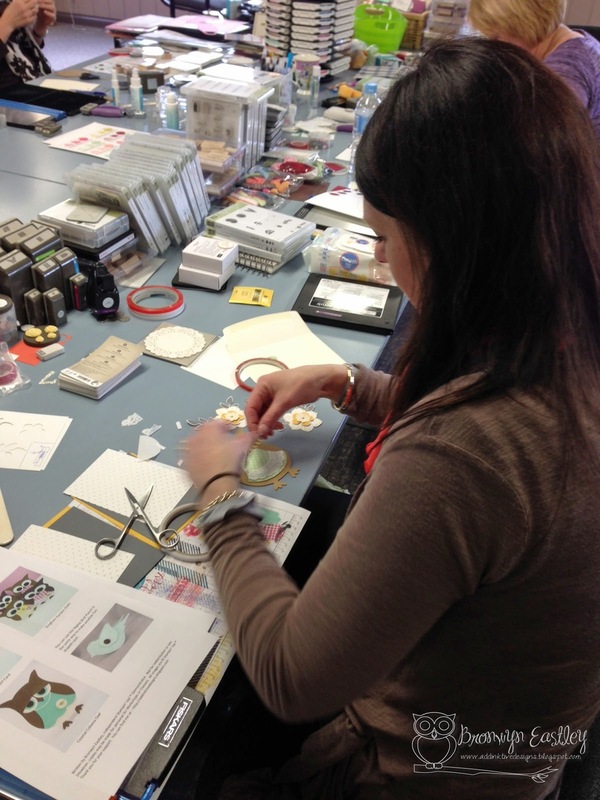 Here's Sharnee making her card. 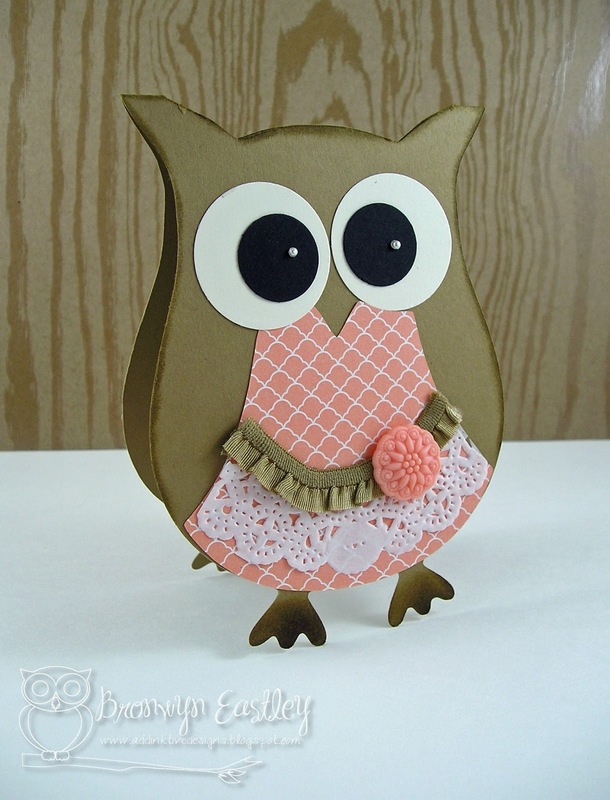 Everybody's owl was cut from Baked Brown Sugar Card Stock and each kit had an owl body cut from the beautiful new In Colour DSP and a paper doily. 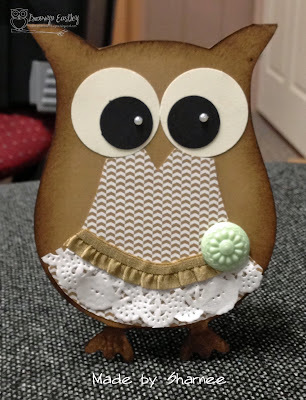 I loved the way Sharnee sponged around her owl and added the cute little pearls in the eyes, so when I got home I just had to add those little extra details to the one that I had made. To complete the owl, we embellished it with a bit of BBS Ruffle Stretch Trim and a 'button' from the In Colour Boutique Details. 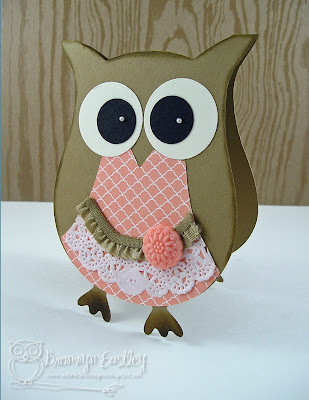 A matching owl was cut from the hand held Owl Punch to put on the front of the envelope. 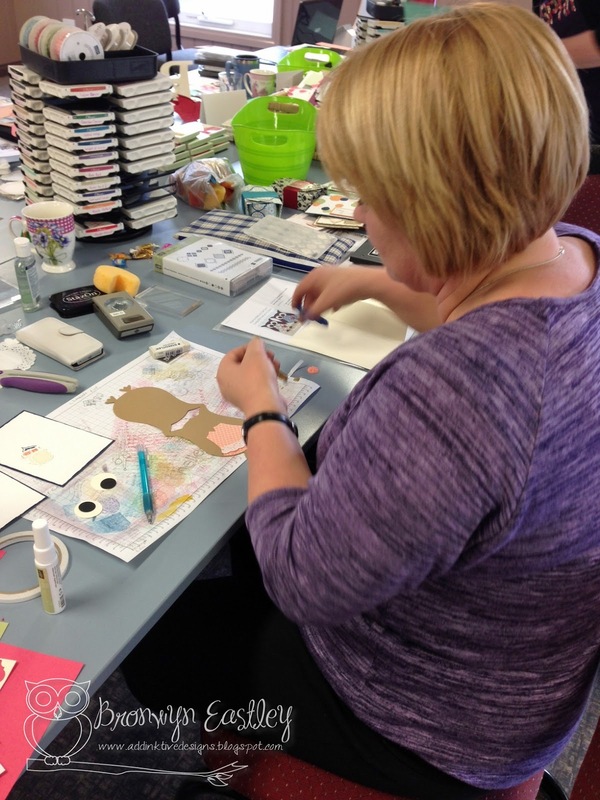 More Stamp Camp pics to come so be sure to stop by later. 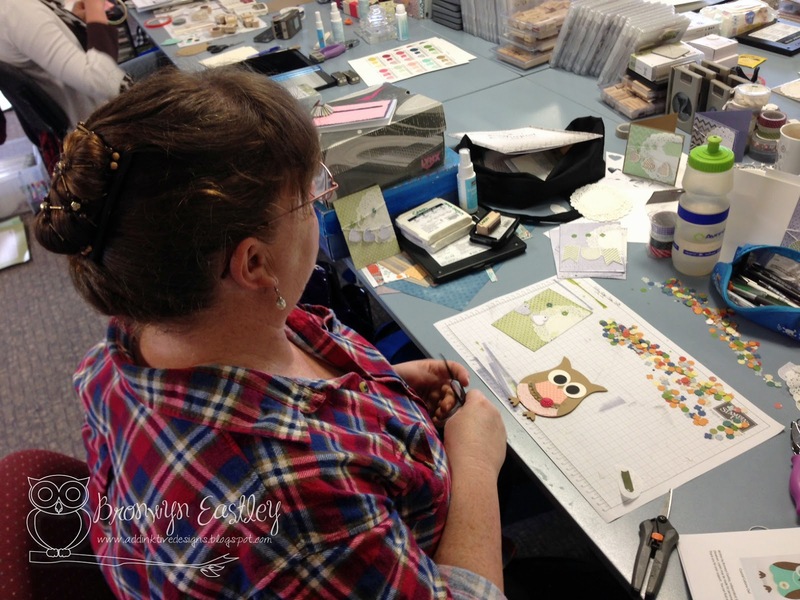 Most of the weekend we had time to do our own 'thing' but it was great to have a couple of Make 'n' Takes to break things up a bit. 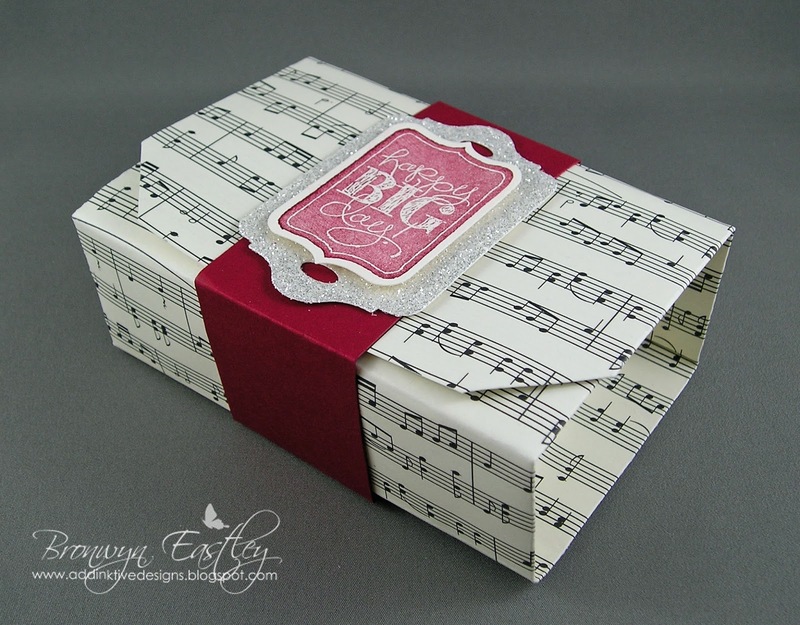 On Saturday, Kim demonstrated this cool little box which you can make from a piece of 12X12 DSP and it doesn't require adhesive! 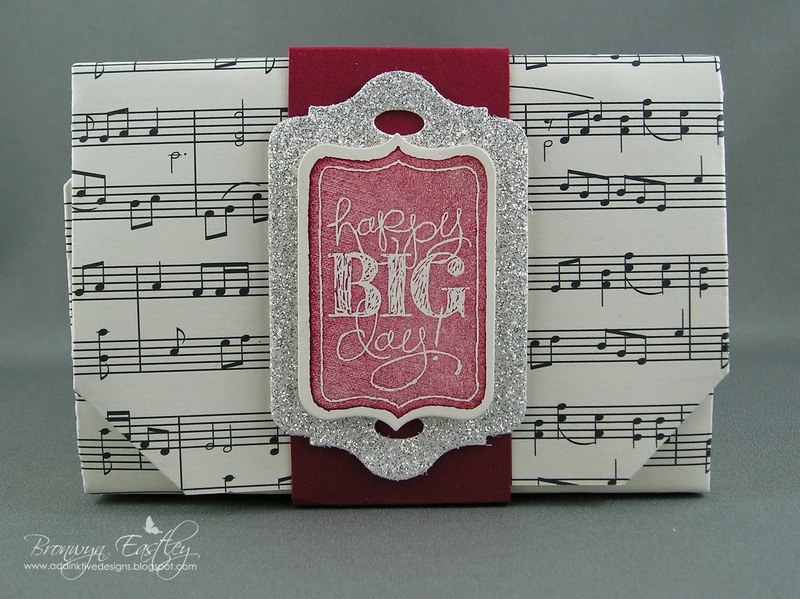 We got to use the beautiful Modern Medley DSP and the belly band was made from the Chalk Talk Stamp Set, matching dies and gorgeous Silver Glimmer Paper. 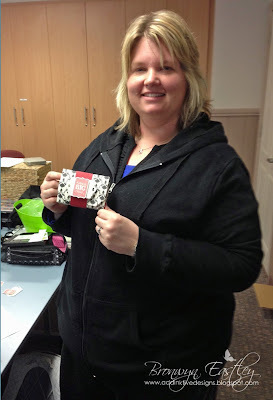 Thanks Kim for a fun, rainy day project.